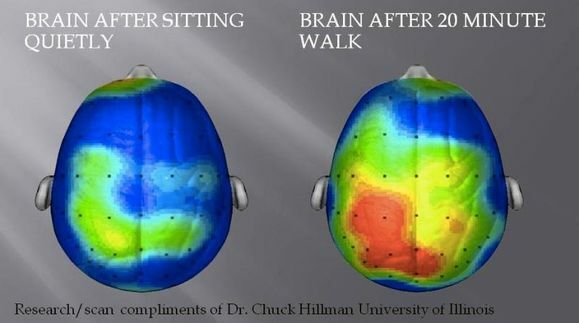 It’s no secret that physical activity increases brain power. Studies have concluded that recess and physical education courses improve student learning, and exercise may be a protective factor against disorders, such as anxiety and depression. But did you know that moving while you work can improve productivity? It’s true. Researchers are finding a multitude of reasons to move while you work. Not only does movement enhance cognitive development and increase personal productivity, but it improves physical health and emotional wellness. People are finding every excuse to convince their bosses (or teachers) to let them exercise while at work, and the results are quite positive. In resistance to diminishing PE classes and recess for the sake of more core academic instruction time, many school districts are implementing policies that promote movement in the classroom. In one elementary school in Winston-Salem, North Carolina, administrators are seeing a spike in reading proficiency, and it’s all because students have the option to use a stationary bike instead of a desk. The results indicated that the time spent on the bikes were proportionate to the standardized test scores (most time, highest scores; least time, lowest scores). As an added benefit, students demonstrated better behavior, as anxiety and hyperactivity diminished. This study is just one of many success stories popping up all over the globe. At the Schiphol Airport in Amsterdam and railway stations throughout France, the WeBike is a stationary bike/desk, which permits three people at once to work while cycling. A miniature version was created by a University of Chicago student, called the Cubii, which is a small set of pedals you place under your desk. Beyond these examples, hundreds of other contraptions, like treadmills and standing desks, are making it possible to reap the benefits associated with movement. 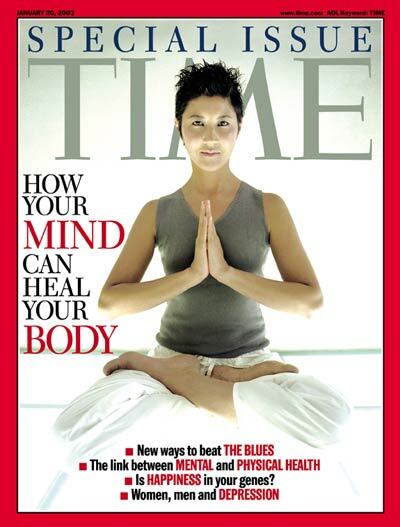 While the body moves subconsciously while cycling or walking, the psychological advantages are noticeable. The list of key components for personal growth goes on and on. In study after study, movement while learning improves retention and decision-making. But exercising during the work day also helps people to be more creative and manage their time more efficiently. Not only can you see the many advantages of moving throughout your work day, but exercising may also add a bit of fun to a mundane job or drab atmosphere. Whether you work at a desk, drive a vehicle, or stand and lecture all day long, a bit of movement incorporated into your day can boost professional productivity and personal development. · Try a standing desk. People who stand while working and studying not only burn more calories, but they tend to focus better. This type of “movement” is particularly appropriate for people with attention difficulties. While using a standing desk (or standing at a traditional desk), you can also do exercises like calf raises or a few squats. · Use an exercise ball. Sitting on an inflatable exercise ball can help with core muscles and balance. Plus, these double as a mini workout station where you can do a variety of movements. · Walk. This seems simple, because it is. Walk when you can. Take the stairs when you can. For a greater boost, do lunges or walk on your heals/toes. You may look silly, but who will be laughing when you outshine your colleagues? · Namaste. Practice some yoga stretches, particularly deep breathing aspects. From your sides, bring your hands up overhead and touch hands, and then slowly move them back to your hips. Do this a few times in conjunction with your breathing. You can also stand, bend at the waist, and hug your knees (be careful, please). · Go crazy. Try shadow boxing, fast toe-tapping (think football drills), or jumping jacks. Try jumping rope, if you can, and if you can’t, pretend. · Get a machine. If your job allows it, get a treadmill or stationary bike to put in your office space (sharing this device in an open area may be more persuasive). If not, set this station up in your home. · Before or after. If you can’t manage to do any of these things while on the job, try to exercise a bit before or after you go to work or study. Burning calories and increasing oxygen intake will get the brain juices flowing. Bikes instead of desks? (2015, March). Parents, 56-56.